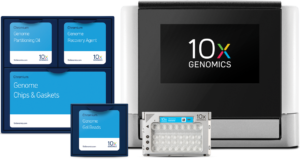 Discover the true genome with the Supernova Assembler and open the door to low-cost, everyday diploid assemblies. Unlock sample-specific sequences, probe diploid genome structure and remove the need for a reference sequence of any kind. **Note on non-human samples: Supernova is a de novo assembly program that has been designed to assemble germline human genomes, from data generated using Chromium Genome Reagent Kits. 10x Genomics has validated Chromium Genome Reagent Kits and Supernova only on human genomes. Therefore, using Supernova to assemble non-human genomes is experimental and may have unexpected features that limit assembly quality. Despite this, many users have successfully assembled non-human genomes using Supernova.